IP number. Internet address. Whatever you call it, it's your link to the world. What? 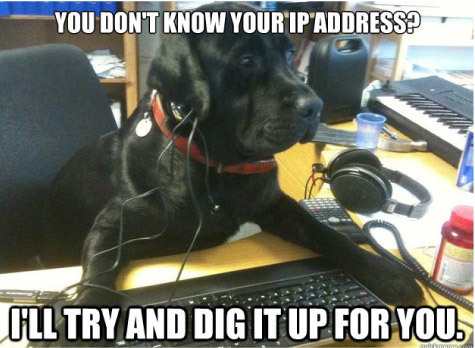 You don't know what an IP address is used for? Don't worry. Most of the billions of computer users don't know either, and to tell you the truth, that's perfectly alright. Because even though it's your passport to the Internet, you never have to think about it. Here's a "pocket definition" that you can use if someone asked. "It's a network address for your computer so the Internet knows where to send you emails, data and pictures of cats." That puts you way ahead of the curve. In fact, 98% of people on computers right now don't know what an IP address even looks like. It always helps to see an IP address example. Let's clear up this concept for you, just to give you an idea why the misunderstood IP address is very important to our lives. Don't worry. We promise not to get too techie on you. In the end, you'll love your IP address. The IP address is a fascinating product of modern computer technology designed to allow one connected computer (or "smart" device) to communicate with another device over the Internet. IP addresses allow the location of literally billions of digital devices that are connected to the Internet to be pinpointed and differentiated from other devices. Because, in the same way you to need a mailing address to recieve a letter in the mail from a friend, a remote computer needs your IP address to communicate with your computer. Your house has a street address to get mail; your connected device has an Internet address to get and receive data on the Web. So, what does an IP address tell you? It lets you know you are connected to the Internet. It's important because it follows rules of connectivity, so you don't need to think about it. The word protocol refers to a standard of guidelines, and that's a key part of the definition. The networking part of the Internet is defined by exact specifications (guidelines) for connecting on the Internet. The IP address you're using at any given time is your device's "digital address" that allows a connection to the systematically laid-out, interconnected grid that governs global connectivity. But can you be sure IP address is 100% reliable? When anyone pops a letter in a mail box, you don't think about its route, or how many trucks the postal office uses, or how many packages the letter carrier delivers a day. You just want it to go the right address. Want to know something extra cool? Every website (Disney, Amazon, Apple, etc.) has a unique IP address, but it goes by its name instead (Disney.com, Amazon.com, Apple.com.) But without IP addresses you couldn't connect with them and they couldn't share information with you. An IPv4 address consists of four numbers, each of which contains one to three digits, with a single dot (.) separating each number or set of digits. Each of the four numbers can range from 0 to 255. Thanks to our IP addresses, we're pretty much guaranteed that our emails will come and go as expected, and that all our Google searches and website visits will work to perfection. IP addresses connect automatically in the background, so we can focus on what's important. 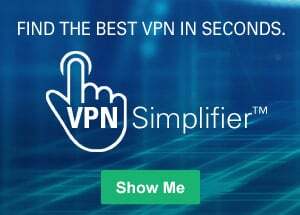 This versatile group of segmented numbers create the addresses that lets you and everyone around the globe to send and retrieve data over our Internet connections. Without this numeric protocol, sending and receiving data over the World Wide Web would be impossible. What would happen if we ran out of IP addresses? 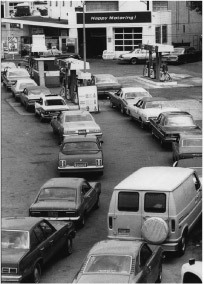 A shortage of IP addresses created panic and desparation. Suddenly, major companies (even Microsoft!) were scrambling to buy unused IP addresses from other companies...for millions of dollars. The past decade has seen explosive growth in mobile devices including mobile phones, notebook computers, and wireless handheld devices. 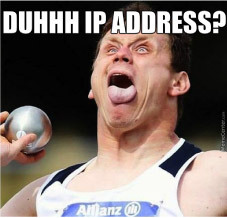 The format for IPv4 wasn't designed to handle the sheer number of IP addresses. Fortunately, there was a backup IP address type waiting in the wings. It's called IPv6 and it offers a maximum number of IP address for today and for the future. Whereas IPv4 supports a maximum of approximately 4.3 billion unique IP addresses, IPv6 supports, in theory, a maximum number that will never run out. A theoretical maximum of 340,282,366,920,938,463,463,374,607,431,768,211,456. To be exact. In other words, we will never run out of IP addresses again. If you have question about IPv6 and want to learn more, visit our Learning Center, where you can read an IPv6 Q&A for everybody. Should you hide your IP address? Your IP address is your passport to the Internet. But it also gives away your location and is used to profile your individual online activity. That's why you might consider hiding it. Yes! And you can learn how right here.